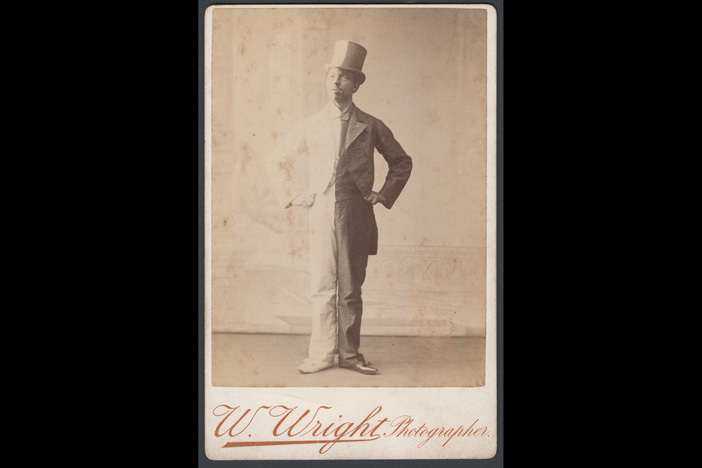 Harlequin actor by W. Wright Photography, London, 1895. 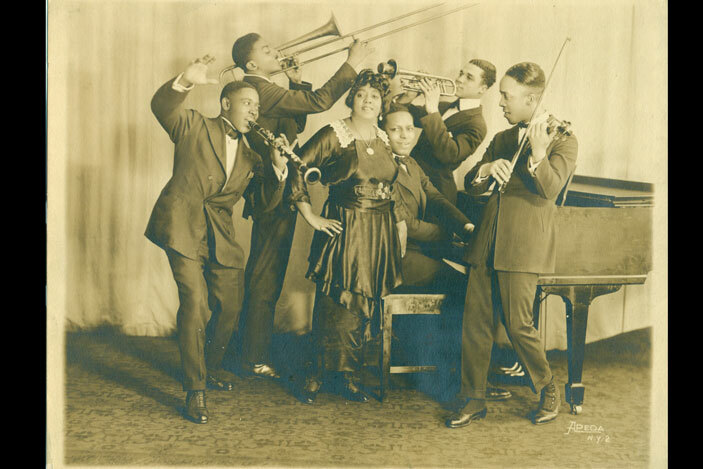 Mamie Smith & Her Jazz Hounds, New York, 1920. 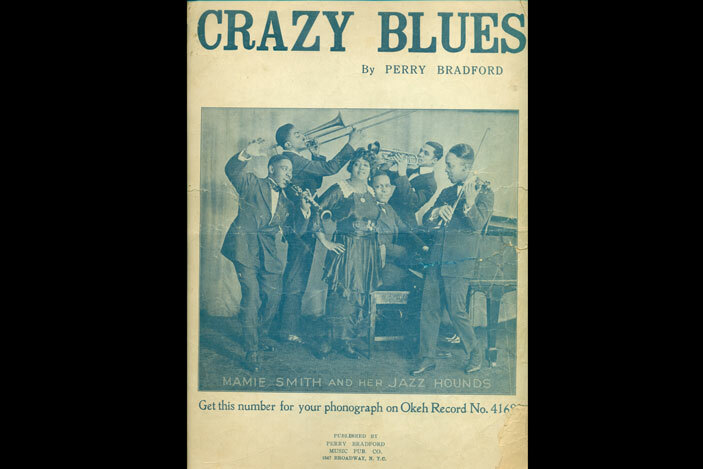 Sheet music cover with Mamie Smith & Her Jazz Hounds, New York, 1920. 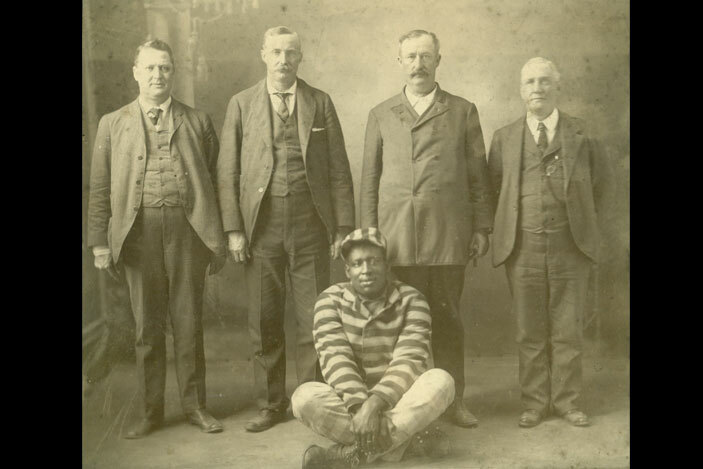 Musician Leadbelly with prison officials, Texas, 1915. 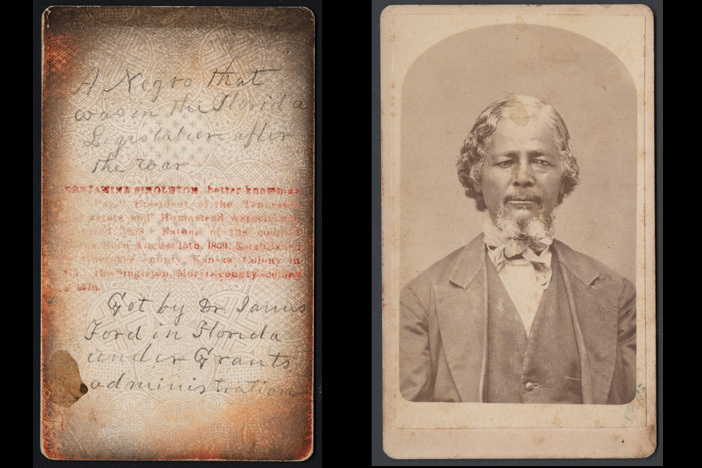 Some lucky students are spending spring semester working closely with the treasure trove of rare photographs that comprise the new African American photo collection in Emory's Manuscript, Archives and Rare Book Library (MARBL). 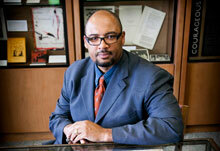 Pellom McDaniels, MARBL's African American Collections curator. Emory Photo/Video. A new course, "Looking at the Familiar: History, Memory, Race and Visual Culture," is being taught by Pellom McDaniels, assistant professor of African American studies and faculty curator of African American collections in MARBL. McDaniels' aim is to lead students on an odyssey of discovery, creativity and research that will result in a finished product: an exhibit drawn from the collection that is created, curated and mounted by the class. Students will be able to select one of four thematic areas of the photo collection to pursue: women, religion, sports and leisure, or music, according to McDaniels. "I am interested in students developing and utilizing different research methodologies, including how to read a photograph, and the idea of working as a historian in the archives and learning how to triangulate information related to the primary evidence that they encounter," he explains. "For students who are interested in learning and using new skill sets related to research and presentation, or just having an opportunity to articulate their research and ideas in a different way, this can be a really important part of their college experience," he says. It's fitting that students will be in the vanguard of studying and working with a collection that promises to "change the field of African American studies," according to Kevin Young, MARBL curator of literary collections and its Raymond Danowski Poetry Library. 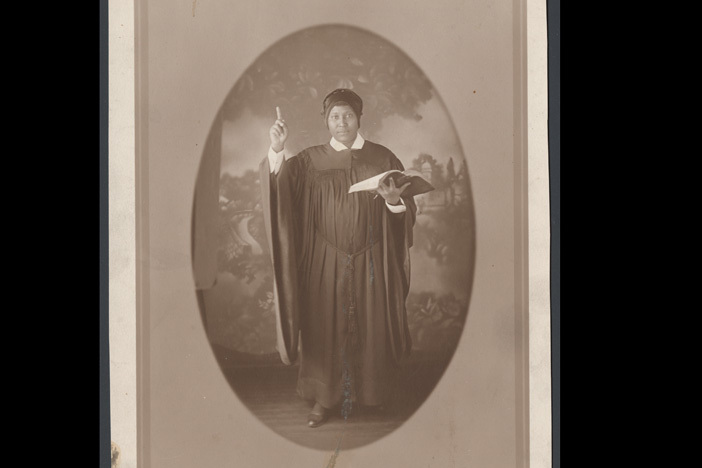 The collection, consisting of more than 12,000 photographs depicting African American life from the 19th and early 20th centuries, was acquired last spring from Philadelphia photo collector Robert Langmuir. MARBL is currently in the process of having the entire collection of photographs digitized at a very high resolution, making them more accessible for scholars and the public to study and enjoy. "For those moved by what they see, either by chance or circumstance, a photograph carries meaning only if the work produces an emotive attachment," says McDaniels. "In other words, when someone, some aspect of life, death or everyday life that has been captured in a photographer's frame is deemed familiar, the spectator is drawn closer, nearer to the subject. It is this closeness, this looking at the familiar, that provides value and meaning to an image." MARBL means to stand in the forefront of this comprehensive new approach to library collections, "allowing us to be an information resource on many levels," says McDaniels. "We have the resources for others to use in new ways. We also have the resources to advance our own educational mission of fostering research-based critical thinking skills that undergraduates need to have to make them not only better students, but better people."